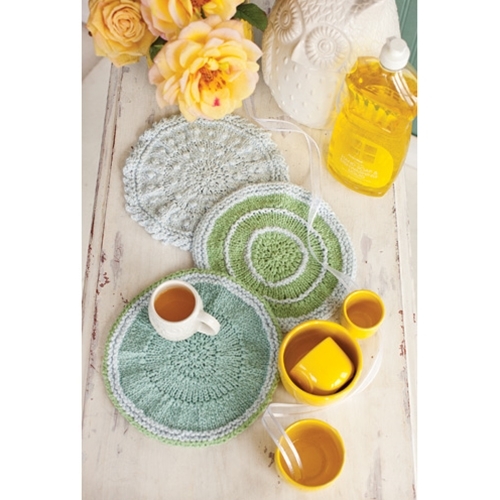 Knit in the round from the center out, each of these circular cotton dishcloths features a different texture and color scheme. Approx 9"/23cm across at widest point. 14 sts and 24 rnds to 4"/10cm over St st using size 9 (5.5mm) needles.